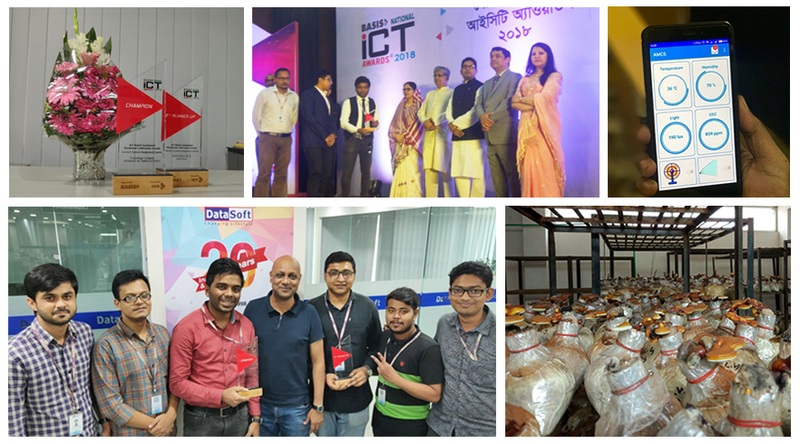 DataSoft| Fourth Industrial Revolution (4IR) in Agriculture: DataSoft wins two category in BASIS National ICT Award. Fourth Industrial Revolution (4IR) in Agriculture: DataSoft wins two category in BASIS National ICT Award. Cloud & AI driven IoT Solutions from DataSoft won the trophy of 1) Champion – Technology Category – Internet Of Things (CT-IOT) & 2) Second Runners Up – Industrial (HC-I) – Agriculture. Cloud & Artificial Intelligence driven IoT solutions from DataSoft sets it apart from the others. Machine Learning algorithm enables the system to take decision & sets optimal parameters depending on the changing micro – climate. 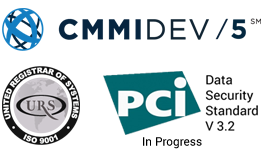 Our intelligent system is constantly evolving hosted in the cloud computing, depending on the locations where the solution is implemented. BASIS ICT Award – the coveted recognition by our industry body for Smart – AI Mushroom Cultivation Solution. Our young IoT team has developed a fully automated mushroom cultivation system for Commercial and Individual mushroom farmers. Now-a-days demand of mushroom is growing rapidly. Mushroom cultivation process is quite challenging because different types mushroom needs different types of environments. With the help of this system now the environment can adjust itself automatically according to the need of specific type of mushroom. It is an intelligent system which automatically adjusts the vital things like temperature moisture, level of CO2 etc. of the cultivation room. Smart – AI Mushroom Cultivation System can alter the environment when any patch of unexpected weather occurs. For example: heavy rains in spring or scorching heat or humidity in winter.